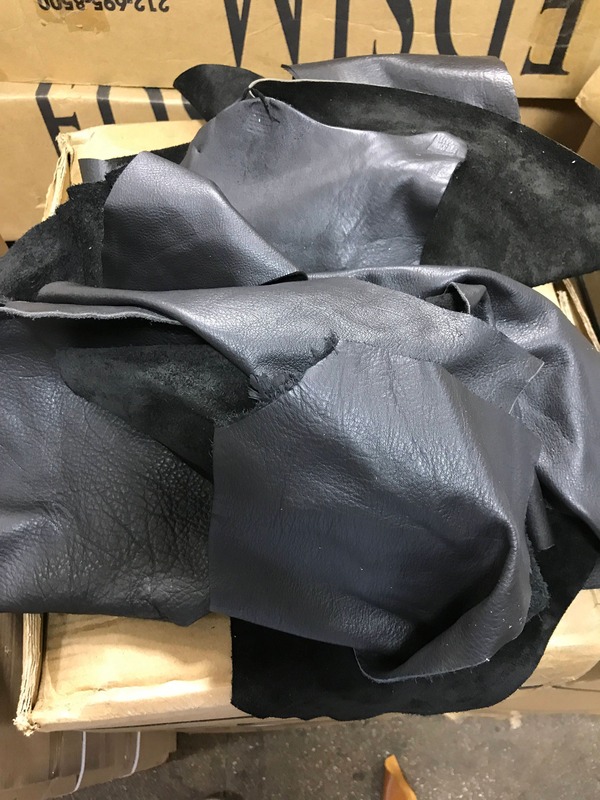 Black Full Grain Leather Scraps and Trimmings: 1-2 lbs in scrap include various finishes/prints in Jet Black cowhide. Pricing is for a 9'' X 12'' USPS pouch. We fill each pouch to CAPACITY. Our standard pouch are about 2 lbs of leather scrap in total. 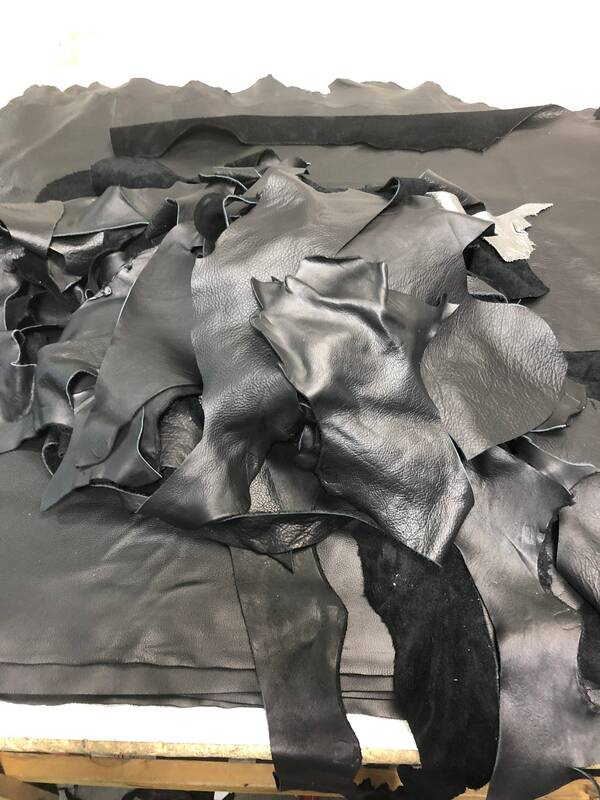 Most of the leathers we produce are soft in nature, meaning they weigh less. Therefore our 3 lbs not only has a nice variety in color - it is better value! Thank you, lots of great leather to work with!